At Life and Whim we are passionate about engaging the imaginations and inspiring the curiosity of children, and so we set out to build a special spot for kids in a place we love—Traverse City! 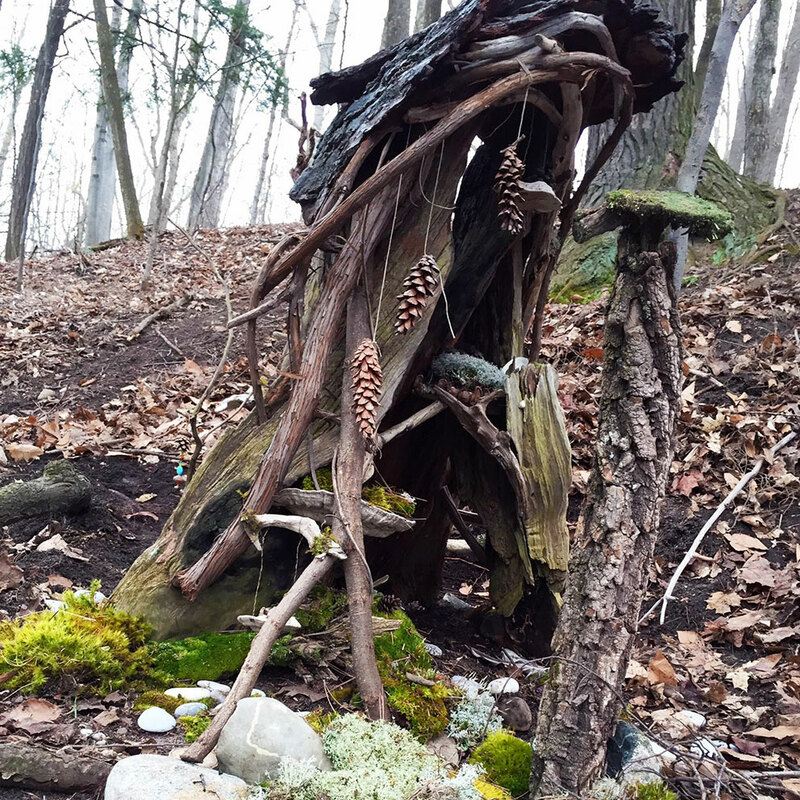 The Fairy Trails is full of all natural, magical fairy houses built by us, and many other members of our community. 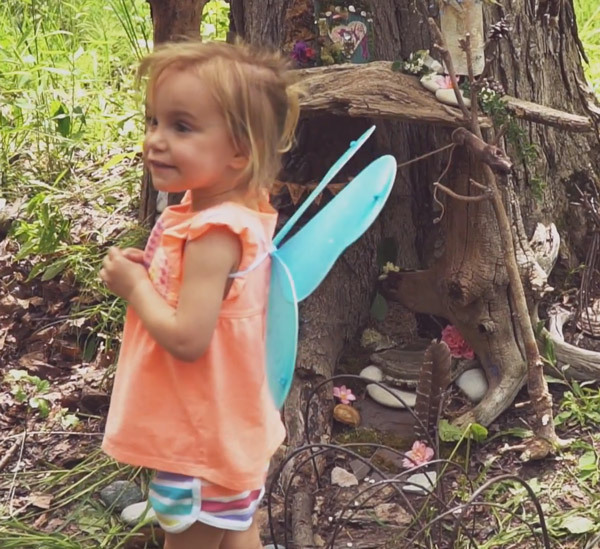 From inspiring kids to pursue an active, outdoor lifestyle, to encouraging them to become stewards of the environment while igniting their creativity and imaginations, the Fairy Trails is a place to explore ways in which the world of fairies can connect our kids to the natural world and each other. There are few things as magical as a hike on one of Traverse City’s many trails and pathways. It’s not just the fresh air and beautiful surroundings that thrill and inspire, but also the sense of discovery that comes from exploring nature’s wonder. From a brilliant blanket of trillium to a majestic soaring eagle, there is always something to see in Traverse City’s forests. 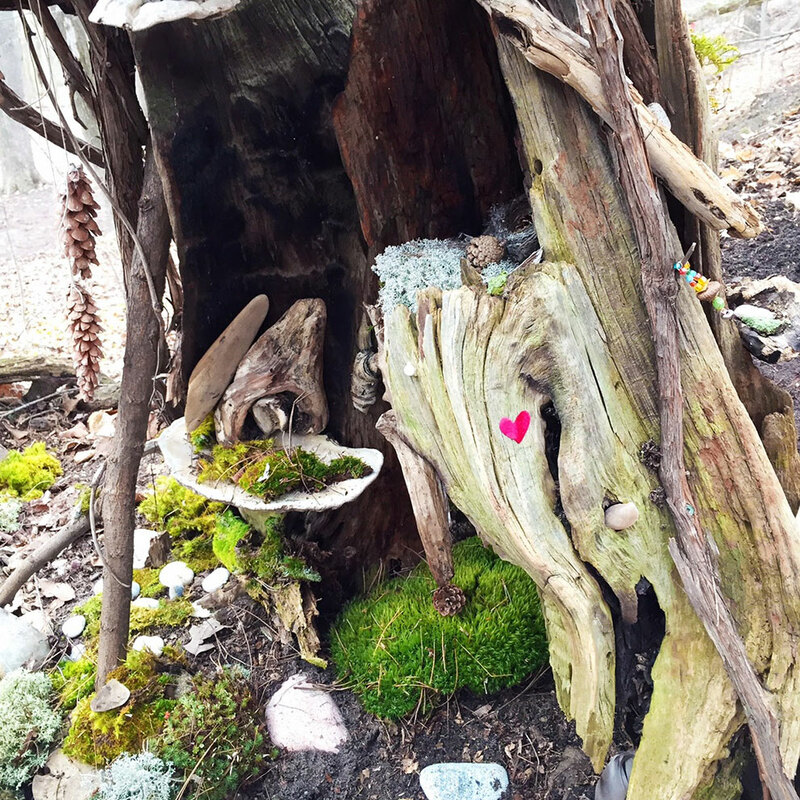 And now there’s even more to discover at Traverse City’s Fairy Trails, an enchanted forest filled with tiny fairy houses. 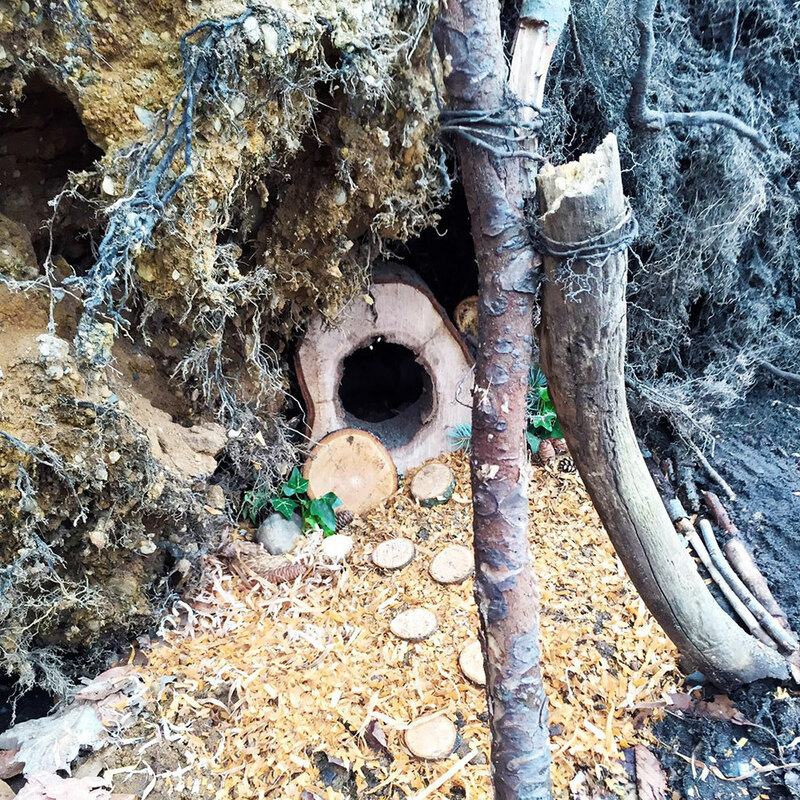 While mystical creatures have inhabited the minds and imaginations of Traverse City’s youth for years, Traverse City’s fairies and sprites will now have dwellings of their own in a magical woodland setting. 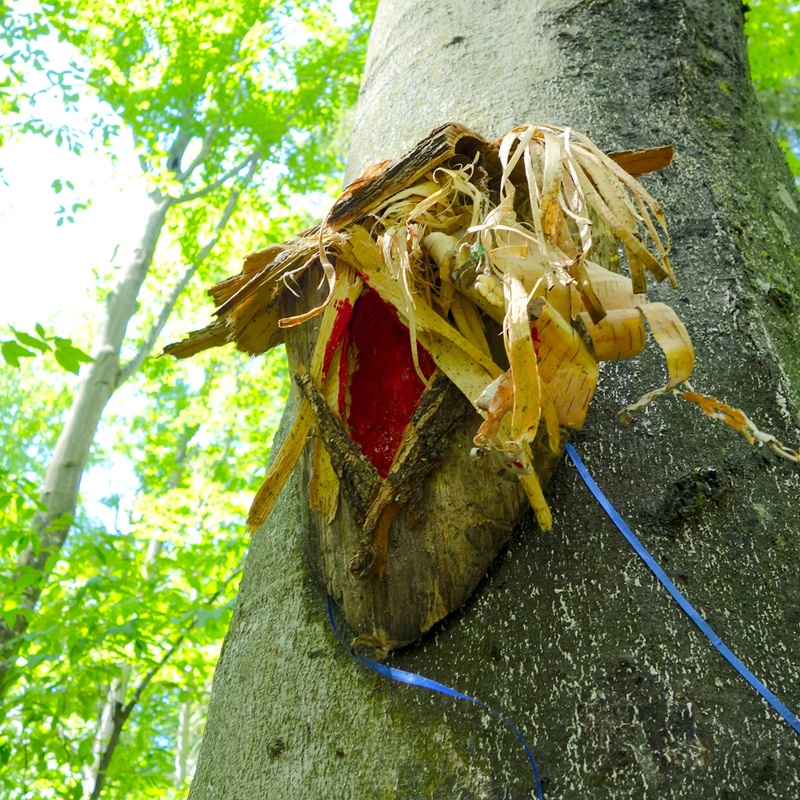 We invite you to come explore and discover the fairy houses and build one of your own using all natural materials! 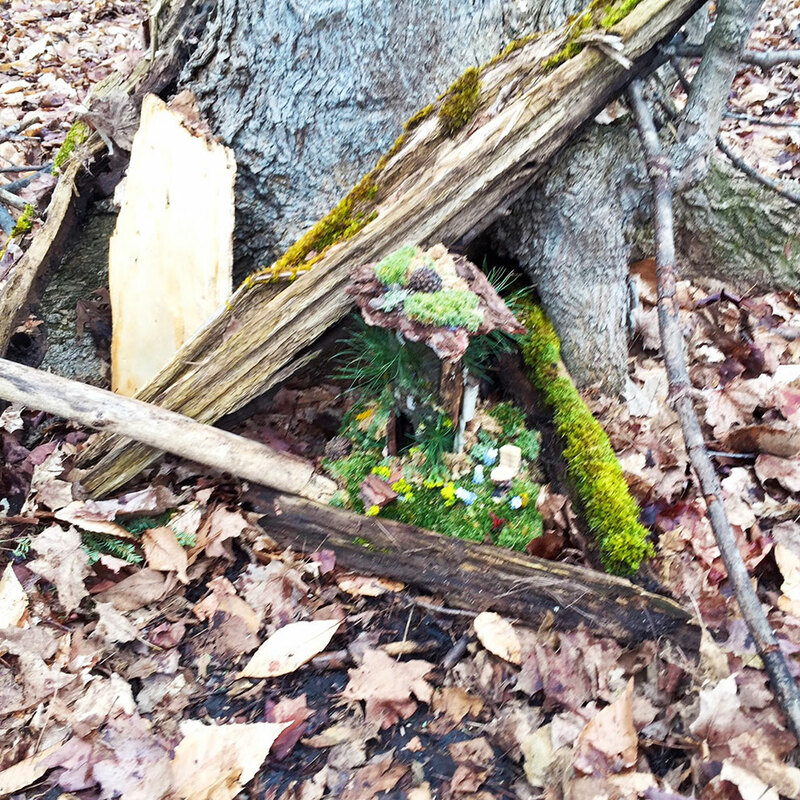 Searching for fairy houses on the Fairy Trails is a fun family adventure. The Fairy Trails are free to explore. In order to stay up to date about events and news about the Fairy Trails, please subscribe by using the link below. We can’t wait to see you on the Fairy Trails! 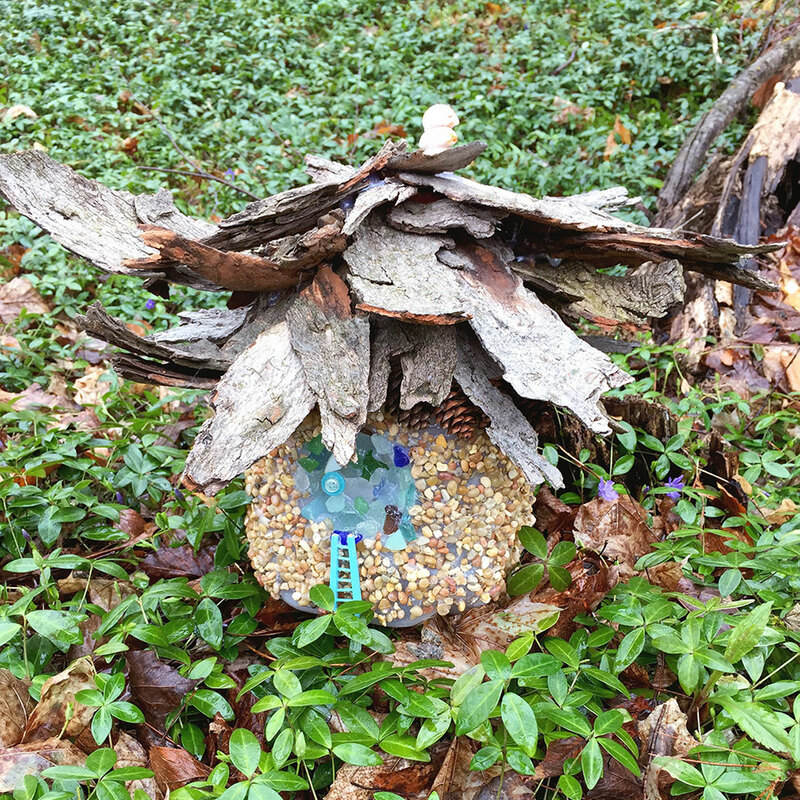 The fairies on the Fairy Trails love houses made with all natural materials such as pine cones, shells, branches, flowers, and more. 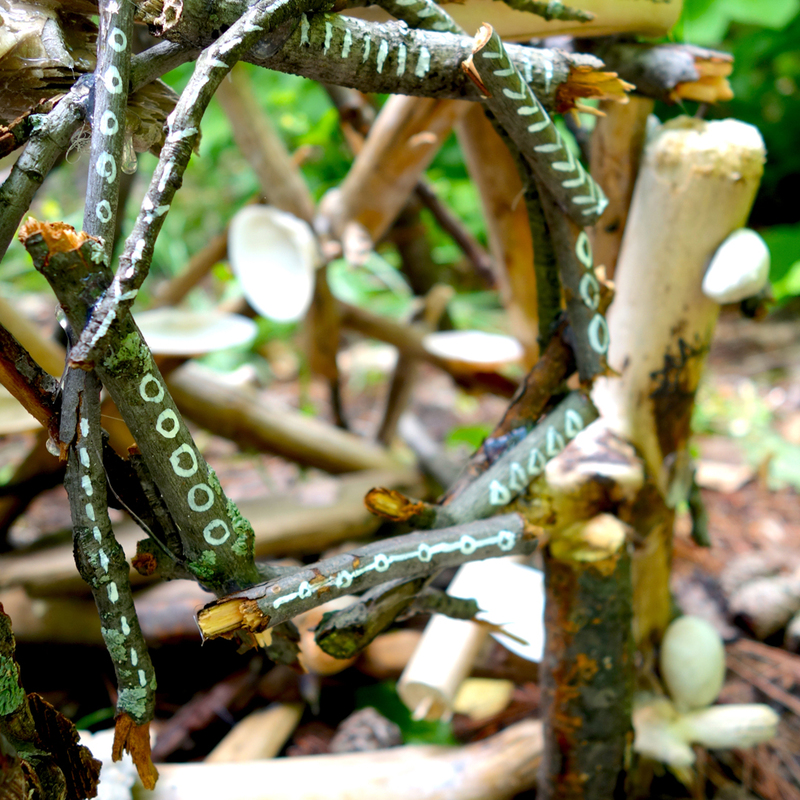 Have fun exploring, scavenging and building your fairy house! Download a copy of our free “How to Build a Fairy House” eBook for fun and creative ideas and crafts that are fun for the whole family. And please remember to help us keep the forest clear of man-made materials, such as toys, books and plastic fairies. Thank you! We are excited to be having the 4th annual Fairy Fest and it will be better than ever! Last year over 40 amazing fairy houses were added to the Fairy Trail. Click on the link below to visit our event page. We are looking for fairy house enthusiasts to build some fun houses for this year’s event! 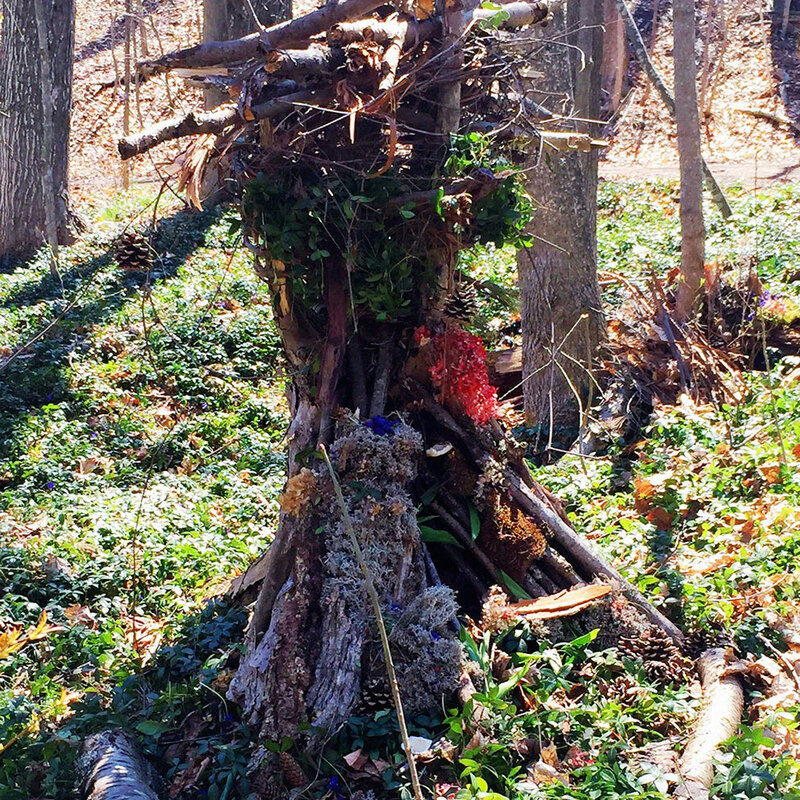 If you would love to create a fairy house please sign up at the link below. The Fairy Trails are located at the start of the trail system called the Meadow’s Loop adjoining the The Botanic Garden at Historic Barns Park. The Fairy Trails are open year round and free to visit. And you’re welcome to add your own fairy house to the trails at any time as long as it’s made of all natural materials. Have fun! Get additional scoop on the Fairy Trails plus access to free Field Guides and our How to Build a Fairy House eBook! Thank you for signing up! You'll be receiving an email shortly. Can’t get enough of fairies? Check out some of the Fairy Trail-inspired goods available in our Store, including our new kids picture book, The Magical Tale of the Fairy Trails, our Stumper the Fairy House hard enamel pin, Fairy Trails Youth Tee Shirt, and Fairy Trails Field Guide adventure and coloring book. Connect with us on Instagram @LifeandWhim and send us your photos by tagging your fairy house images using the hashtag #FairyTrailsTC.